New York State Double-Bill, note early start time of 6:30 pm. 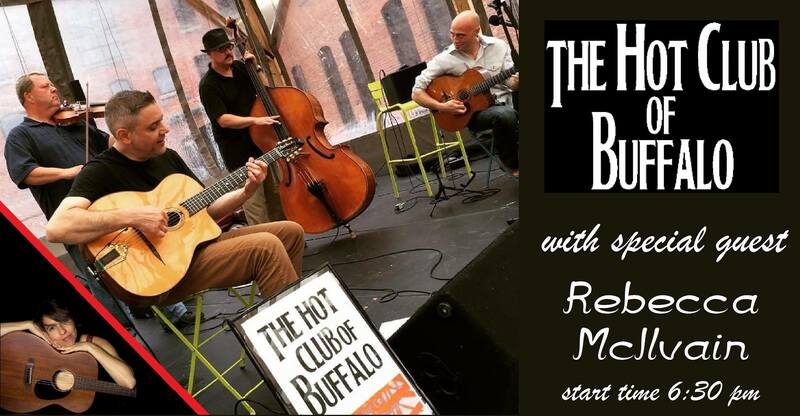 The Hot Club of Buffalo is a 4-piece gypsy jazz band from…Buffalo, NY! 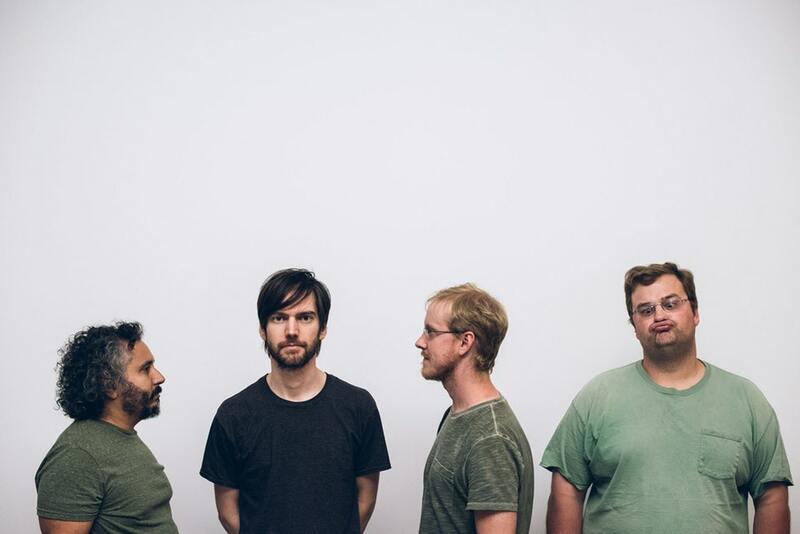 The group adds some modern twists to traditional gypsy swing. Riffs from Bach, Jimi Hendrix and Steely Dan are as common as quotes from gypsy legend Django Reinhardt. And dance-friendly world music, like Bossa Nova, Choro and Rhumba are a part of every show. So is improvisation. You never know what’s going to happen next! The Hot Club of Buffalo is Josh Assad, guitar; Kevin O’Brien, double bass; EJ Koepell, violin; Dean Gionis, guitar. All concerts are FREE and open to the public. Bring a blanket or lawn chair, relax on the shore of Lake Erie, and enjoy not only some fine music, but the best sunsets on the Northcoast. Food and beverages will be available for sale, weather permitting, or bring your own picnic. All concerts are held rain or shine, inside the club if necessary. Our shows are family-friendly, and well-behaved, leashed dogs are always welcome! Smoking is permitted on the patio east of the clubhouse.